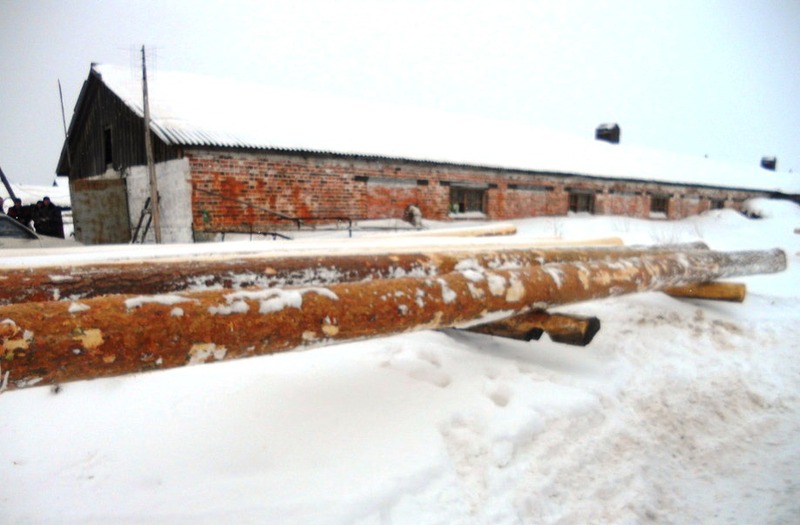 - of hew logs houses with a diameter from 22cm to 50cm and more. of this version is analogous to constructing houses in the technology of logs that were given cylindrical shape. One vital difference constitutes a fact that a log that is given cylindrical shape is processed by machines, whereas the hewn log processing is manual. This requires enormous precision from the builder, knowledge of wood and its specificity as a material and time. Only a small part of bark is cut out in the hewn log technology. Log that is produced in this manner does not possess ideal dimensions of a cylinder. However, this gives the hewn log house construction its unique charm. Such construction gains natural look, as if it was from ancient times and at the same time follows the latest construction systems. This technology has already been known for a few centuries. The difference is in this, that previously logs were produced with the use of axes and now electric planners and gas combustion saws are used. This significantly improves all works and allows to make them more precise. In this version of wooden log houses we offer constructions with the log diameter from 22 cm to 50 cm. 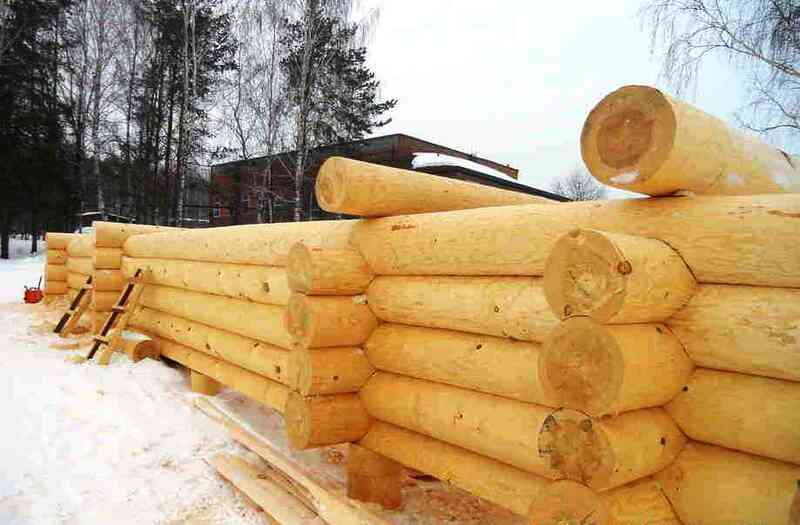 Building house in this technology is identical to building it from logs that were given cylindrical shape. We start construction from consultations with a client, specifying requirements and determining all details. We try to finalize all the construction works as quick as possible, while maintaining solidity and precision of performance of all details. Hewn log house construction is time consuming, but the house end state is overwhelming. Manual wood processing requires precision and specific skills. Log that is given cylindrical shape by a machine requires less time, the greatest amount of time is required by the glued log. Homes from wooden logs have reached record popularity these days. People want to returnto nature, enjoying unique microclimate and a very attractive look of their place of abode. We want to make your own log house dream come true. for the production is pine and spruce. Larch and cedar are used less frequently as a material. Material for the glued log is imported from the north of Finland. Due to the extreme natural conditions, in which summer is maximally short, the growing up of pine is very slow. It is very thick and maximally resistant to extremely low temperatures. It has good heat permeable characteristic and other advantages that are not seen in trees that grow in warmer regions of the Earth. A tree limb is cut into elements (i.e. lamella) of right dimensions that are thoroughly dried (contrary to rounded logs that are given cylindrical shape and hewn manually), which makes their moistness significantly lower. Afterwards there is a quality check. Damaged areas are cut out and the rest is connected with mini pins/connectors. 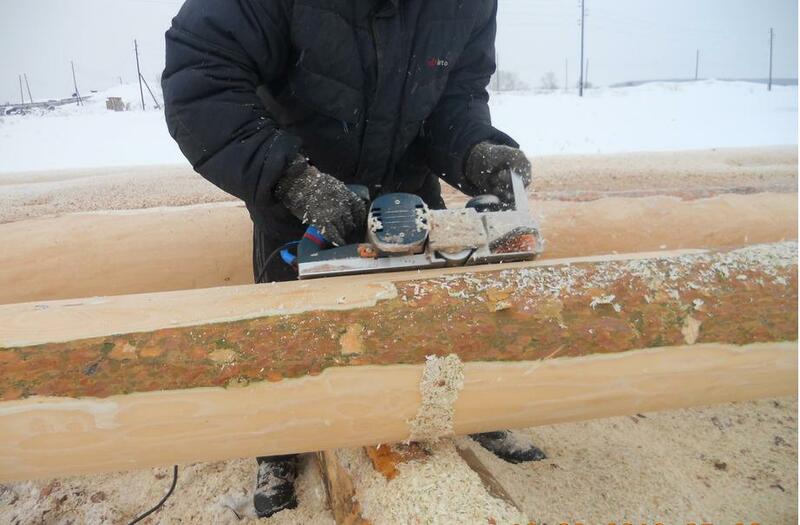 to produce thick glued logs – maximum width reaches 260 mm, hight – 260mm. The gluing system used in production of logs does not contain any formaldehyde, toluene, heavy metals, nor other toxic chemical compounds. It meets European Safety Norms (European Union Directive EU-79/769/EEC, part.1, vol.29), it is given authorization to use products in the production that are in immediate contact with foodstuffs. Due to this glued log is much more resistant, when comparing it with a regular rectangular log. It does not change its shape, when there is a change of humidity. Does not bend. In terms of thermal insulation and permeability and air, as well as joint tightness, the glued, hewn and profiled log has advantage over the rounded log. Mills and combs along logs rigidly connect logs in the wall with the logs above and below. Walls do not require additional finishing. In fact, the open state of the construction made of glued logs is a turnkey state. It only requires painting. Glued log does not change its shape during exploitation, has very low "shrinkable" (2-3 times less, than e.g. rounded log). Glued log does not crack, is characterized by high quality of surface, attractive aesthetic look. Glued log houses are an ideal alternative for constructions made of brick. If you want to live in accordance with the rules of nature and have a lot of benefits out of it, choose wooden houses. of the produced wooden constructions that Fins have, does not require additional recommendations. 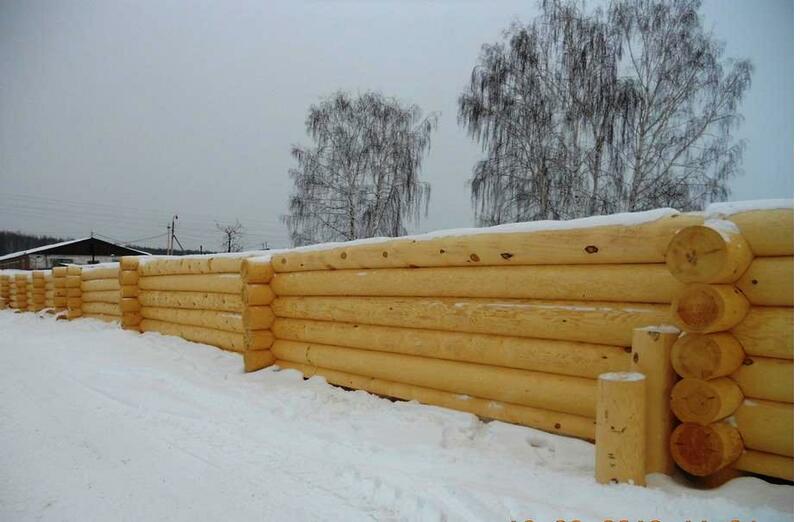 This is the glued log houses production that we offer you. You choose, and we are ready to advise you absolutely free of charge.